The whitefly, Bemisia tabaci Gennadius (Hemiptera: Aleyrodidae) is a worldwide pest of major crops. It is a highly adaptable insect pest and resists almost all chemical compounds used for its control. It resists at a 7–30 fold, 7–4931-, 20–80-, and 12–2461 fold to various compounds of cyclodiene, organophosphates, carbamates and pyrethroid, respectively. It also resists up to 2000 fold to neonicotinoids and buprofezin. However, B. tabaci resists to some level to pyradabin, spiromesifen, pymetrozine, fipronil, diafenthuron and spinosaid. Resistance in B. tabaci is quite unstable in the absence of selection pressure, and cross-resistance within and between chemical groups is an established phenomenon. Further, inheritance of insecticide resistance in B. tabaci exclusively appears autosomal and partially recessive but resistance to pyriproxyfen and bifenthrin in Q-and B-type varies from incomplete to complete dominance. Furthermore, resistance to imidacloprid, bifenthrin, fenvelerate and pyriproxyfen is controlled by more than one gene (factor). However, resistance to pyriproxyfen in Q-type appears to be under the control of one factor. Mechanism of insecticide resistance and cost of fitness in this insect has also been discussed. 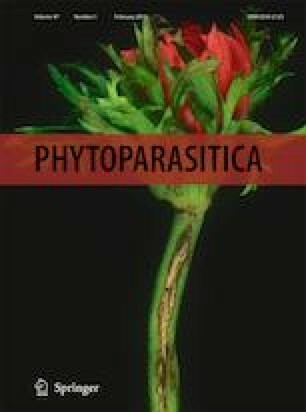 I pay special thanks to Dr. Juan Luis Jurat-Fuentes, Departent of Entomology and Plant Pathology, University of Tennessee for his valuable and critical comments on the first version of this manuscript.